Earlier this year, FBI Director Christopher Wray, along with the special master of the 9/11 Victims Compensation Fund held a forum at the 9/11 Memorial and Museum with a goal of encouraging federal law enforcement officers still suffering from health problems relating to the attack to take advantage of available resources. In the years since that horrible morning, the country has tried to move forward in part by encouraging those who were exposed to the toxic air released from the debris to access services and benefits that could help them cope or prolong their lives. The 9.11 World Trade Center Health Program was created to provide care and monitor not only first responders but people who lived and worked nearby Ground Zero. The program estimates over 400,000 people were either exposed to toxic contaminants or sustained Ground Zero-related injuries or emotional trauma after the initial attacks. 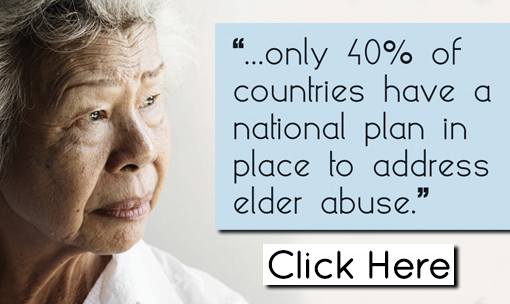 Making up the program’s top ten post-9/11 illnesses are Chronic Rhinosinusitis, cancer, PTSD, Chronic Obstructive Pulmonary Disease, Depression, and anxiety. The program was created after the signing of the James Zadroga 9/11 Health and Compensation Act of 2010, named for an NYPD officer who died of a respiratory disease in 2006. It divides those eligible for care into four categories: FDNY Responder, General Responder, workers or volunteers who provided support; NYC Survivor, a person present in the disaster area as a result of their work, residence, school or daycare; and finally, Pentagon/Shanksville, PA Responders who were involved in the other attacks that occurred that day. Last week, city firefighters added 18 more names to the 182 already etched on the memorial wall at their headquarters. The names represent firefighters who have died from post-9/11 related illnesses, underlining the fact that years later, the impact is personal and devastating. Where the base of the Twin Towers once stood in New York City, there are the two memorial reflecting pools with the names etched of the nearly 3,000 who died the day of the tragedy remain an enduring reminder of those lost. As you look up from the pools, you see a literal manifestation of hope: the 1,776 feet tall, 104-story, and 3.5 million-square-foot One World Trade Center tower. The One World Trade Center is the main building of the World Trade Center complex that is still being developed in Lower Manhattan. The tower, which opened in November 2014, currently holds the title as the tallest building in not only the United States but also of the entire Western Hemisphere, and it ranks as the sixth-tallest tower in the world. The way the tower stands tall gives strength and hope to locals and those whose lives have been forever altered by the tragic event. While the design was completed from 2003 to 2005, construction lasted between 2006 to 2014; thus, this project took over a decade to realize with costs exceeding $3 billion. 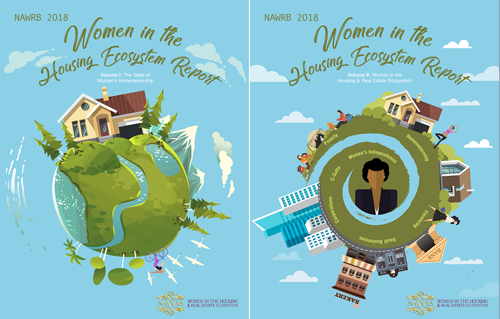 Desiree Patno, CEO & President of NAWRB, had the pleasure of being one of a select few executives who were given a personal tour of the building and learned the series of obstacles the developer and owner of the World Trade Center—Silverstein Properties and Port Authority of New York and New Jersey, respectively—had to overcome to rebuild it. The construction and design were led by the New York office of Skidmore, Owings & Merrill (SOM). Larry Silverstein, owner of Silverstein Properties is the leaseholder and developer of the buildings of the World Trade Center complex, while Port Authority possess ownership of the One World Trade Center tower. In July 2001, Silverstein signed a 99-year old lease for the World Trade Center, for which he paid $14 million. Under the agreement, he was given the right to rebuild the structures if they were destroyed. Little did he know that this promising purchase tided to the building purchase of $3.2 Billion six weeks later would be the site of one of the most devastating historical events in United States history. Imagine, buying any property and have this mass destruction. After September 11, Silverstein faced numerous legal disputes with 22 insurance companies regarding insurance policies that were set in place for the original Two Towers. 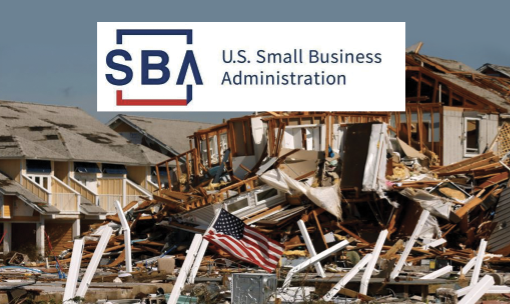 During the struggle that has lasted 17 years, Silverstein was able to collect approximately $4.85 billion from insurers regarding the buildings themselves and the hijacked planes that crashed into them. He reached a $95 million settlement with the aviation companies American Airlines Group Inc and United Continental Holdings Inc in November 2017. Hats off to Silverstein for their mental endurance to deal with five governors, 19 governments, almost two decades and the continued reminder of additional people losing their lives every year due to the toxic chemicals. The 3 World Trade Center building in the Financial District, completed in 2018 by architect Rogers Stirk Harbour and Partners, is one of the tallest buildings in New York City standing at 1,079 feet with 80 stories. This office tower, built with modern glass and is LEED Gold-certified, distinguishes itself with an external structural steel frame, a three-story-high lobby and three landscaped terraces. 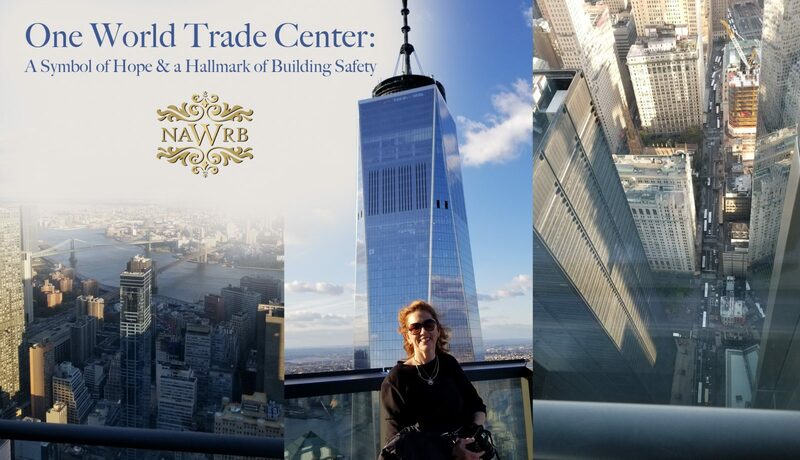 Desirée Patno, CEO & President of NAWRB, was invited on a private tour of the 3 World Trade Center and walked on the balcony on the 76th floor— the highest balcony in greater New York. The elevator ride was so quiet that you could hear a pin drop. Even though the balcony still awaited some finishing touches, it was not only breathtaking but also exuberating calmness. In 2005, when the design for the tower was still being worked out, the plans were adjusted for increased safety and security. Changes included moving the site of the building further from the heavier traffic on West Street and adding tempered laminated and multi-layered glass windows. Billed as “safe, sustainable and artistically dynamic” on the World Trade Center’s website, the tower’s safety measures exceed what’s required under New York’s building codes. Designed around a strong steel frame supported by beams and columns, One World Trade Center was designed to be the safest commercial building in the world. NYPD’s counterterrorism Bureau polices the area around the building and while an underground Vehicle Screening Center serves as a security checkpoint and you must have special permission to access closed and restricted sites. In 2012, Architectural Digest previewed the new One World Trade Center which ultimately opened in 2014 saying the building that emerged out of the design revisions was “one of the safest, technologically advanced, and environmentally sensitive in the world.” Its 3-foot concrete slabs are designed to withstand natural disasters like high winds and earthquakes. In addition, it has a heavy, blast-resistant base called a podium, a specially designed fire suppression, 70 specially protected elevators and most notably a stairwell exclusively for emergency personnel. Although increased safety measures can never guarantee that nothing bad will ever happen, we can look to buildings like One World Trade Center as inspiration for rethinking the way we build our structures of the future and rehab and retrofit existing buildings. The buildings we design are a manifestation of the strength, security and safety we desire to have as we interact with each other in shared spaces. It takes many people working together to come up with effective designs, plans and programs. By creating more sustainable and safe buildings and by continuing to support those who still need help in the wake of 9/11, we honor those whose lives were lost and reaffirm that the most important assets we have are human lives. This entry was posted in Great Articles, NAWRB Magazine, News and tagged 9.11 World Trade Center, James Zadroga, Larry Silverstein, New York City, United States history, World Trade Center.